We have a client called Ocean Avenue. 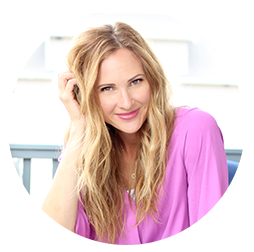 Their catch phrase: "Find your ocean." 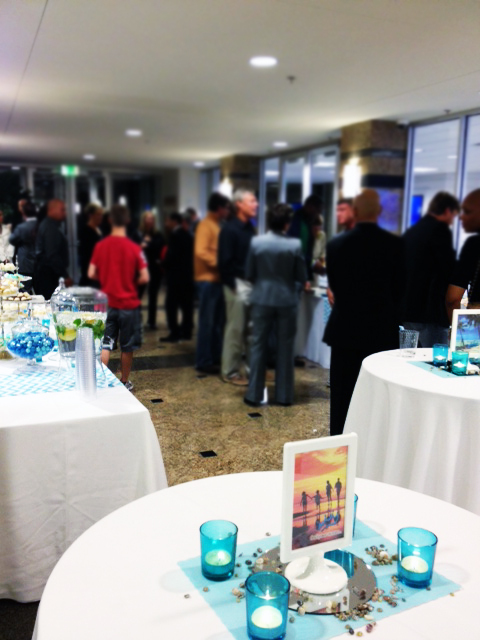 So naturally when we did a reception for their clients, we threw a beach party (without a beach). 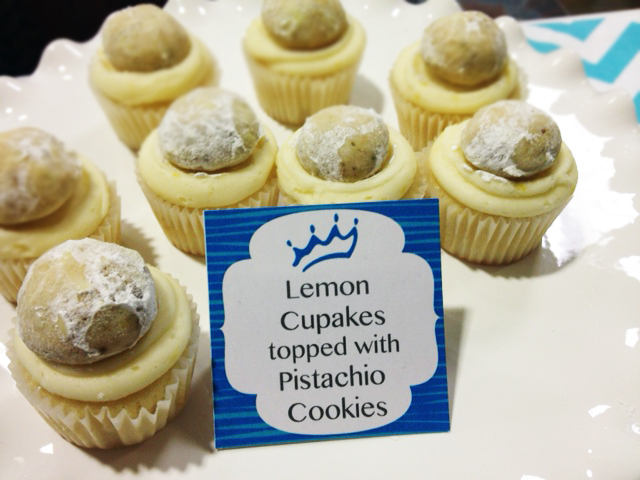 We served some fun savory appetizers. We also created custom labels which include our client's logo. 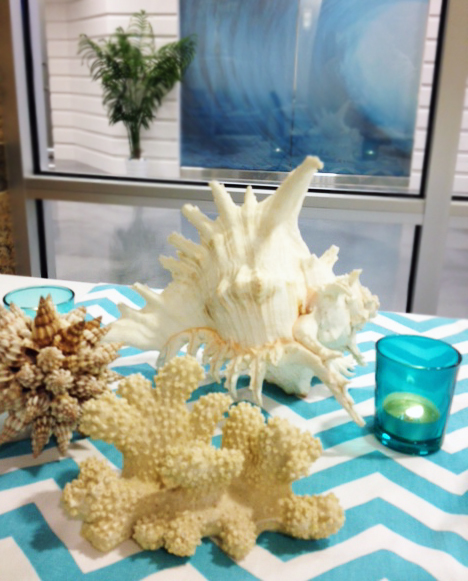 We mixed beachy table decorations in with the food. 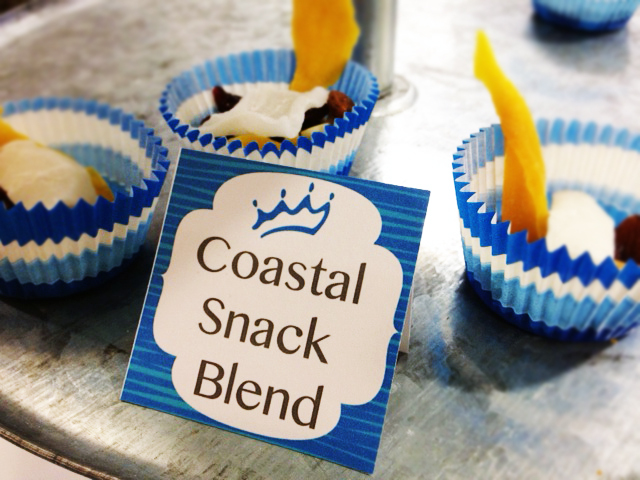 We also served a "Costal Snack Blend" that included dried mango, young coconut, dried cranberries and blueberries, white chocolate chips, almonds and cashews. 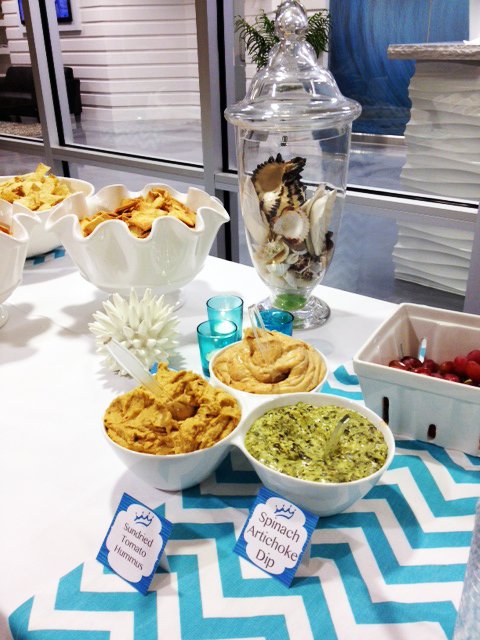 A snack in a cup is another great way to add color to your table. 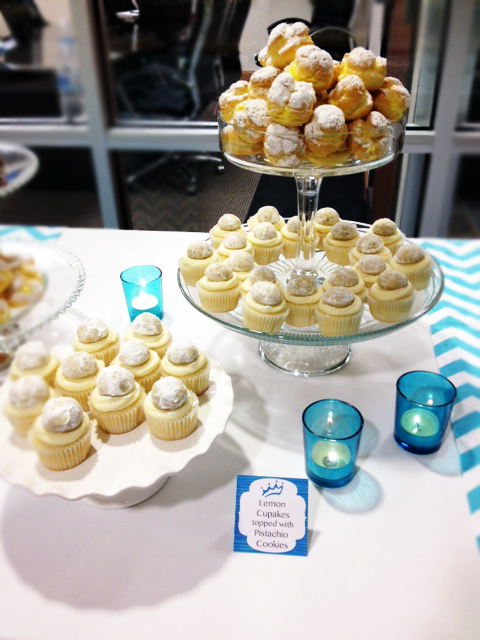 Is there anything better than a lovely display of deserts? 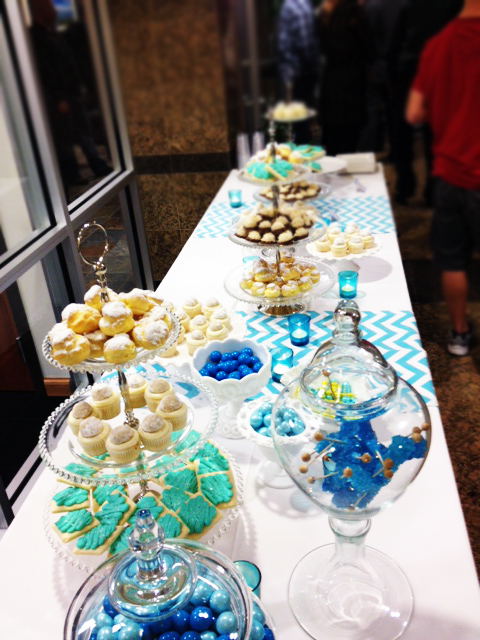 We brought out client's color scheme into play with aqua chevron-print table runners, agua votives, custom labels, and a variety of sweets. 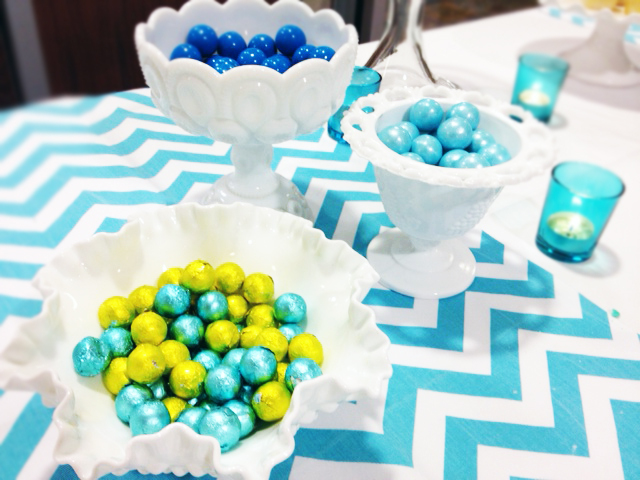 It's hard to incorporate your color scheme into the food, instead add color with some fun colored sweets like rock candy, gumballs, and foil-wrapped candy. 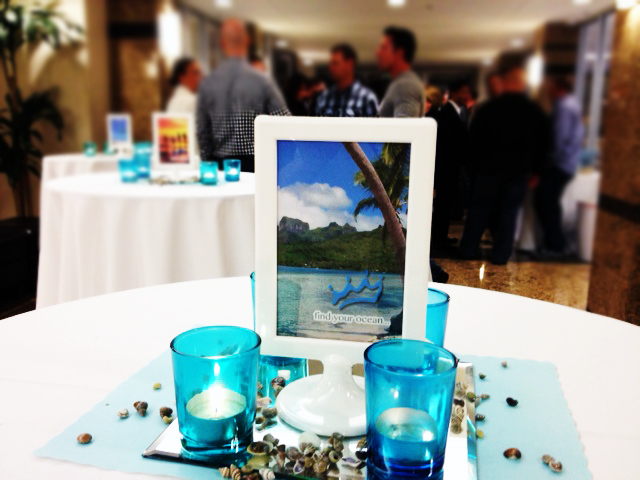 We created custom signs for the tables, and scattered little sea shells among the votives. 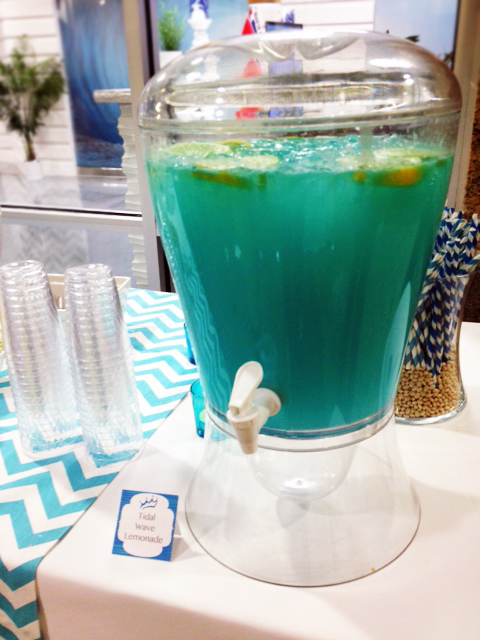 The Tidal Wave Lemonade recipe we created was a huge hit! 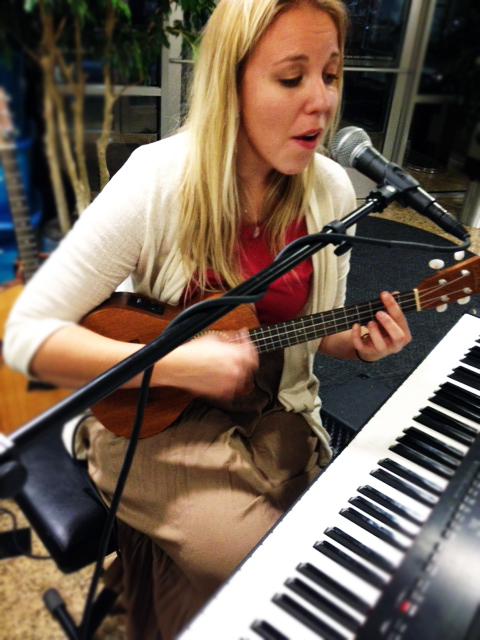 Live music makes any party better. We hired local artist, Catherine Papworth. It was a lot of fun! We hope you throw a beach party... with or without a beach.